CMS, “The recognized leader in desktop and notebook hard drive upgrades”, offers the most comprehensive line of hard drive upgrades for desktop and notebook computers. Our Easy-Plug Easy-Go hard drives are complete upgrade solutions. 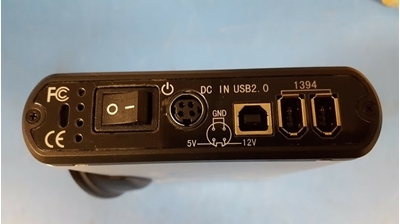 This product is a power adapter for the UBASE-2x series (please compare faceplate to picture) Desktop Backup. Specifications are on faceplate.